I’ve forgotten my pondering and we begin to chat like old friends. Braun, who first discovered Reiki in 1998, also incorporates Hypnosis and EFT (Emotional Freedom Technique) in her therapy practice and structures each session according to the client. So a session may focus on just one modality, or any combination of techniques, depending on what is requested. She likes to think of herself as an “alignment coach” who can use her tools to help people get back on track with the lives they want to live. Braun admits she came to Reiki accidently, “through the back door,” she says, laughing. “I had a friend who was hosting a Reiki training with knowledgeable Reiki masters coming from Toronto to Calgary [where Braun was living at the time] and she needed help coordinating. The opportunity presented itself so I jumped at it and went in with an open mind but an ‘I’ll believe it when I see it’ skepticism. So began Braun’s journey into the healing arts—an accidental Level One Reiki course after which she left with a positive feeling, and a desire to learn more. So what is Reiki? According to the International Centre for Reiki Training, “Reiki is a Japanese technique for stress reduction and relaxation that also promotes healing.” The idea is that our unseen “life force energy” is able to flow through our hands to heal others as well as ourselves. So Reiki is, essentially, the laying on of hands to promote healing. Reiki takes a holistic approach to healing and treats all aspects of the person including the physical, the emotional, the mental and the spiritual bodies of the individual with the intention of establishing balance in the entire human being. Reiki was first established as a practice in 1922 by a Japanese Buddhist named Mikao Usui. Since then the technique has been passed on from Master to student. Some variations have evolved and been taught over the years by other Reiki Masters, but the most common form of Reiki is still Usui Reiki. Reiki, says Braun, is something everyone can benefit from. Even if you take the spiritual and philosophical concepts of energy out of it, the simple laying on of hands is therapeutic. This therapeutic touch is embraced by hospitals as Healing Touch and used routinely as a known modality within palliative care. Interestingly, Braun found Reiki at the same time her mother was diagnosed with cancer. She was between jobs, had just finished the Reiki level one course and things lined up for her to be able to go back to Oregon to be with her mom. “I am one of four siblings, and I was [at a point that I could be] her caregiver for three to four months,” she says. Braun found that her connection to Reiki was grounding, that it enabled her to be present and strong through her mother’s journey, and to hold a space of loving kindness. “I went back to Calgary a changed person,” she says. Braun found a job in the film industry in Calgary, and it took awhile before she began to offer Reiki to friends. She continued to study under Reiki Masters, taking Level Two twice for a rounded perspective, and completed her Master Certification in 2008 from the Metaphysical Centre of Canada. While she saw that people responded to her Reiki treatments, that in itself was not enough for her to shift from her conventional path. Braun was always taking workshops and classes, and when one with a strong hypnotherapy element crossed her path, it further intrigued her, so she took the basic hypnotherapist course in 2007. “It whet my appetite and I felt that I had a foundation but knew I needed so much more if I actually wanted to practice. “Do you ever feel like your mind has a mind of its own?” she asks on her website. Most of our daily actions and habits are a program established in childhood, Braun says, and often the “programs” are outdated. Hypnotherapy can help us to “upgrade” these subconscious programs so that we make choices in our lives based on our current reality instead of being confused between our conscious and subconscious desires. Braun notes that in the UK, hypnotherapy is actually accepted as a career and is a program offered through colleges. In North America, however, there is still no official curriculum or governing body of hypnotherapy, so she really wanted to ensure the program she signed up for would meet her personal requirements for certification. In her research she came across the HCH Institute in Northern California, which met the criteria she was searching for. There were different teachers, and the lead psychotherapist was rooted in science. This scientific background was important to Braun because it brought balance to something that was also metaphysical. So, in September of 2008, Braun began her hypnotherapy training. For the next two years she went back and forth between Northern California and Calgary, working to obtain her Clinical Hypnotherapist certification. She also completed other certificates while there and continued to work with her Reiki. After completing the courses she stayed in California for a six month work internship where she fortified her skills. Braun still had a career in the film industry in Calgary, but after her return she began to experience a professional malaise. While she was offering some hypnotherapy and Reiki sessions in Calgary, she was feeling ready for an adventure! Driving home from California one trip she headed up to Nanaimo to visit some friends and that was it! She returned to Calgary but immediately began the process of closing up shop because she now knew what she was doing—moving to Nanaimo! Braun moved her practice to the Comox Valley three years ago, and set up an office in Downtown Courtenay. She continued to travel to Nanaimo to offer treatments and expanded her client base onto the smaller islands. “When I closed my office I had been working as a mobile practitioner on the islands, so I figured it was a transportable service,” says Braun, who still offers workshops and treatment sessions on Hornby, Denman, in the Comox Valley, and in Nanaimo. Braun also works at a hearing centre, helping those with hearing loss and exploring the relationship between hearing loss, dementia and mental health. She is also organizing a wellness retreat on Galiano Island, April 8-15. The Women’s “Empowered Living” Retreat will showcase a number of healing modalities, including life coaching, massage therapy, Pilates, healthy eating, and body work, among others. “A synergy is created when different people come together from different fields,” says Braun, who loves the idea of working with other practitioners with the intention of “looking at health from a completely holistic way. and even before I am certain it is her she has hopped out with a confident stride to greet me. We shake hands and her smile is so reassuring, I’ve forgotten my pondering and we begin to chat like old friends. Boarding the ferry to Denman Island I am curious to see who I will meet. Who is this Deborah Braun of Light Haus Therapy? Will she emanate light as I walk toward her? Will she scan my energy and suddenly know things about me that even I don’t? What if she is just a normal person… will I even recognize her? When I reach the shore I see a van parked close to the passenger exit—I think I see a mass of blonde curls behind the wheel, and even before I am certain it is her she has hopped out with a confident stride to greet me. We shake hands and her smile is so reassuring, I’ve forgotten my pondering and we begin to chat like old friends. and this is something that can be done just by making some simple choices. Look for a diet rich in nature’s superfoods—the best foods to eat to give your body the essential vitamins and minerals it needs to maintain good health and bolster the immune system. These ‘superfoods’ include berries (fibre) eggs (protein), beans (iron), nuts (healthy unsaturated fats), fish and seafood (Omega 3), oranges (vitamin C), spinach (Vitamin A) and broccoli (Vitamins C, A and K)—just to name a few! A diet built around fresh, seasonal fruits and vegetables is the cornerstone of preventive medicine. It’s hardly news that fruits, vegetables, nuts and legumes are good for you—they provide fibre, vitamins and minerals. Study after study shows that eating foods from the garden helps keep blood pressure and cholesterol from climbing and lowers the danger of developing diabetes. The Mediterranean diet, plentiful in fruits, vegetables, beans, lentils, whole grains and healthy plant oils, has become almost synonymous with optimal health. Opt for lots of color on your plate to reap the benefits of all the beneficial vitamins and minerals fruits and vegetables have to offer. Farmers’ markets keep us in touch with the seasons—the arrival of asparagus and the first luscious strawberries in the spring, sun-ripened heirloom tomatoes and succulent fresh corn at the height of summer, a veritable cornucopia of peppers and squash come fall, and root vegetables for the winter. The following recipes take advantage of fresh ingredients, and offer healthy choices for mealtime! In this salad, Tuscan kale is served raw—and makes for a substantial and satisfying salad. Be sure to choose bunches of Tuscan kale with small leaves, which are more tender. Place currants in small bowl; add 5 tablespoons white balsamic vinegar. Let soak overnight or for a few hours. Drain currants. Whisk remaining 2 tablespoons white balsamic vinegar, rice vinegar, honey, oil, and salt in large bowl. Add kale, currants, and pine nuts; toss to coat. Allow to marinate for about 20 minutes at room temperature, tossing occasionally. Season to taste with salt and pepper. Sprinkle parmesan cheese shavings over salad and serve. of sweet and crunchy apple and the spice of curry and turmeric. In a medium bowl, combine diced chicken, celery, apple and cilantro. In a separate small bowl, stir together yogurt, curry powder and lemon juice. Add to chicken mixture and fold together. Season with salt and pepper to taste. Lay washed lettuce leaves on a clean workspace. Place one-quarter of the chicken mixture on each leaf. Tuck in the sides of lettuce and roll up from the end. Cut rolls in half and secure leaves with a toothpick. Serves four. The first of this season’s five-spot prawns will be hitting the markets early May. Be sure to try this dish to enjoy the freshest of our local seafood. Toss prawns with 1 tablespoon lemon juice in a medium bowl and sprinkle with salt. Heat oil in a large skillet over medium heat. Add fennel, scallions and chile pepper and cook, stirring, until soft and beginning to brown, 3 to 5 minutes. Pour in wine. Cook, stirring, for 1 minute. Place the prawns on top of the fennel mixture, cover and cook until the prawns are pink and just cooked through, 2 to 3 minutes. Remove from the heat. Transfer the prawns to a plate. Add the remaining 1 tablespoon lemon juice, feta and pepper to the pan and stir until the cheese begins to melt, about 1 minute. Serve the prawns on top of the fennel mixture. Quinoa is considered one of the world’s most healthy and nutritious grains. If you choose, you can substitute rice for the quinoa or ground chicken for the turkey. In a medium saucepan, brown ground turkey in oil over medium high heat. Add garlic, onions, sundried tomatoes and continue to saute for about 4 minutes or until mixture has browned and softened. Add cooked quinoa, asiago cheese, feta cheese, pesto sauce and seasoning to taste. Divide mixture evenly among pepper halves, loosely stuffing them. Bake in a large lightly oiled casserole dish for 40 minutes until peppers are soft and mixture is browned. Serve with a side salad. in aluminum or cast iron pots as the acid in the rhubarb will darken the pot. Preheat oven to 375°F (190°C). Spray a 10 inch ceramic quiche dish with nonstick baking spray. Combine ingredients for topping in a large bowl and mix together until crumbly. Set aside. Combine ingredients for filling in a large bowl and mix well. 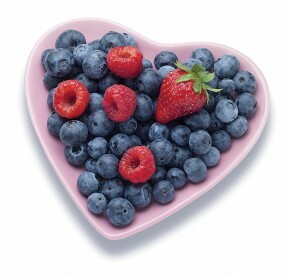 (If using frozen fruit, it can be added while it is still frozen.) Transfer mixture to prepared baking dish and spread evenly. Sprinkle topping mixture evenly over filling. Place baking dish on a parchment-lined baking sheet to catch any spills during baking. Bake for 40 to 45 minutes or until topping is golden brown and juices are bubbling up.